When I asked Deepak Chopra to share a moment when he felt deeply connected to spirit for my book, Sixty Seconds: One Moment Changes Everything, he told me this moving account of his final farewell to his father. Chopra, a pioneer of alternative medicine, has melded modern theories of quantum physics with the timeless wisdom of ancient cultures to change the way the world views physical, mental, emotional, spiritual, and social wellness. His Chopra Centers in New York City and Carlsbad, California, focus on enhancing health and nourishing the human spirit. 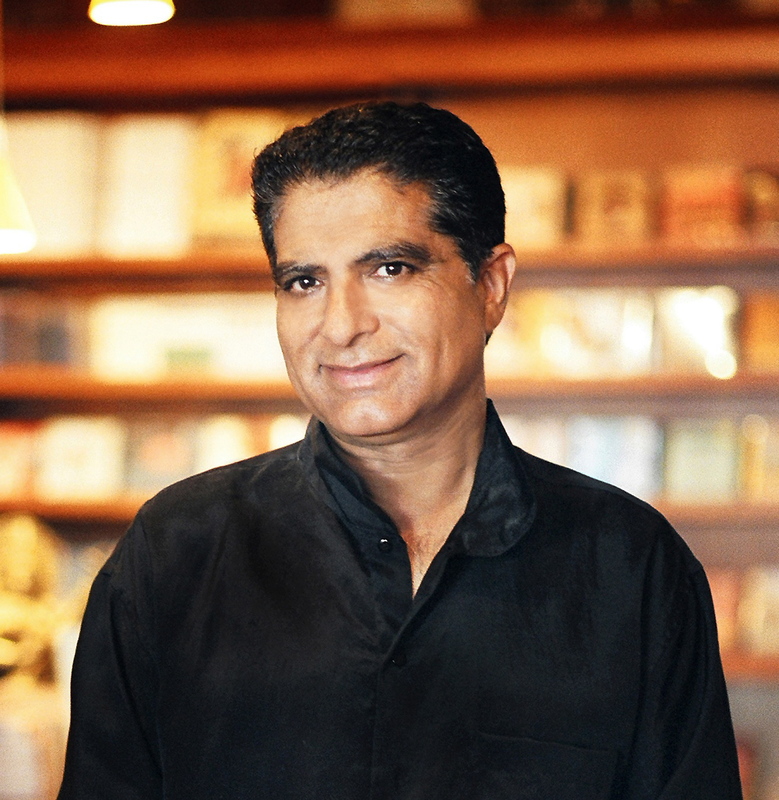 Chopra’s books include The Seven Spiritual Laws of Success, The Spontaneous Fulfillment of Desire and Ageless Body, Timeless Mind. Click here to visit Deepak’s website. My grandfather and I were very close. When I was six years old, my father was training in cardiology in England. One day my grandfather took us to the movies and the circus and then out for dinner. That night, he died in his sleep. The next day, it was as if he had disappeared. I remember even at six years of age saying to myself, One day I’m going to find out what happens after we die. In January of 2001, my father passed away and I had to go to India to cremate his body. Part of the ritual was to bathe his body and anoint it with oil. I then carried his body over my shoulder, put it on a funeral pyre, and lit the fire to make sure his body was totally cremated. Part of the ritual was also to crack the skull with a stick to make sure that everything ultimately disappears. The next day, you are to come and collect the ashes, which are little pieces of bone about the size of a quarter, and throw them into the flowing Ganges. It takes about forty-eight hours to do all this. I never felt closer to my father than I did during this whole experience. I could feel his presence and his spirit and his love and the intimacy that I had with him. I experienced my entire life unrolling before my eyes on the screen of my consciousness—every conversation we’d had, every game we’d played since childhood. And I recalled things he had told me about his childhood and his parents and so forth. It was the clearest experience I’ve had of timelessness, of love, and of connectedness with the universe. While I was cremating him, about two hundred yards away, there was a group of children who were using the draft of the cremation fire to fly their kite. I could see in this the play of life and death. The kite was like the symbol of the spirit soaring into the heavens. Click here to view all my posts related to my book, Sixty Seconds: One Moment Changes Everything. This entry was posted on October 5, 2009 at 9:54 AM and is filed under See INDEX categories above. You can follow any responses to this entry through the RSS 2.0 feed. You can leave a response, or trackback from your own site.